Set against the backdrop of 19th-century France, "Les Misérables" tells an enthralling story of broken dreams and unrequited love, passion, sacrifice and redemption–a timeless testament to the survival of the human spirit. Jackman plays ex-prisoner Jean Valjean, hunted for decades by the ruthless policeman Javert (Crowe) after he breaks parole. 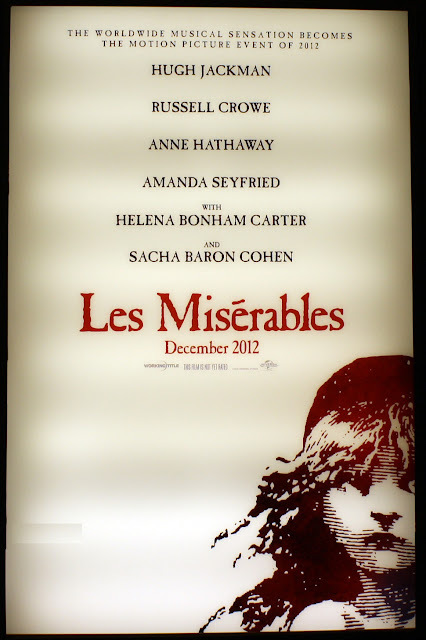 When Valjean agrees to care for factory worker Fantine’s (Hathaway) young daughter, Cosette, their lives change forever. In December 2012, the world's longest-running musical brings its power to the big screen in Tom Hooper’s sweeping and spectacular interpretation of Victor Hugo's epic tale. With international superstars and beloved songs–including "I Dreamed a Dream," "Bring Him Home," "One Day More" and "On My Own"–"Les Misérables," the show of shows, is now reborn as the cinematic musical experience of a lifetime. 'Les Miserables' opens December 14 for the US, 11 January 2013 for Ireland and the UK.